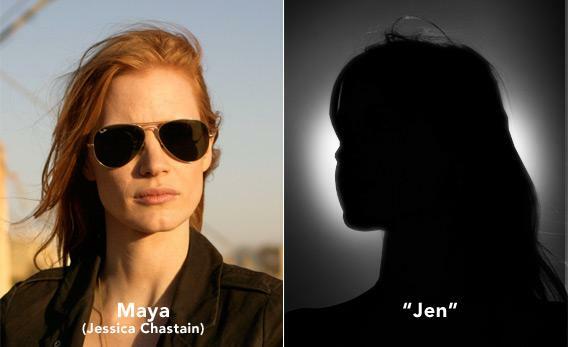 Zero Dark Thirty fact vs. fiction: Who are the real-life inspirations for the characters in the Oscar-nominated film? Zero Dark Thirty, after earning five Oscar nominations including Best Picture, finally went wide this past weekend and immediately shot to No. 1 at the box office. 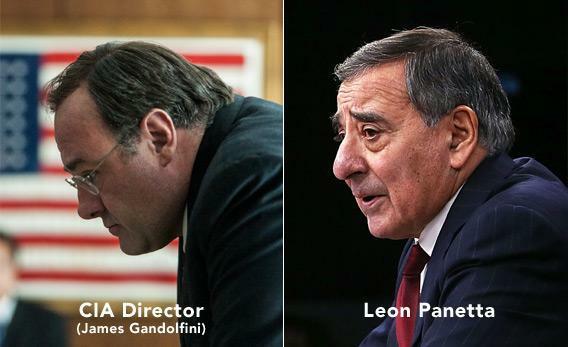 While critics and political pundits have been writing about the film’s depiction of torture for weeks, audiences may still emerge with a few questions about the film’s inspirations. Were so many of the manhunt’s heroes really women? Is there really a Muslim guy who works for the CIA? What about the dog? Was there really a dog? Screenwriter Mark Boal himself has acknowledged that “all of the characters in the film are based on real people.” Some of these real people, like the agent who inspired Maya, still work under secret identities, and Boal says that he and director Kathryn Bigelow “went to great lengths” not to blow their cover, including, e.g., not casting people who look like them. Others are public figures or agents whose true identities have already been revealed, but the film still declines to refer to these characters by their full real names. Below we’ve taken our best shot at identifying the inspirations behind the characters in the film. Stills from Zero Dark Thirty by Jonathan Olley / ©2012 Columbia Pictures Industries, Inc. All rights reserved. Silhouette of a woman by iStockphoto. Back in the hangar, Jen stayed on the perimeter of the crowd. She didn’t say anything, but I knew from her reaction she could see Bin Laden’s body on the floor. With tears rolling down her cheeks, I could tell it was taking a while for Jen to process. She’d spent half a decade tracking this man. And now there he was at her feet. Peter Bergen, a journalist who has written about counterterrorism and the Middle East for years, has said that the “guy who was on the account from 2003 to May 1, 2011, when Bin Laden was killed, and the guy who was always saying … that Bin Laden is living in the mysterious compound in Abbottabad—that guy is a guy, he’s not a female.” But this conflicts with statements from Bigelow, who has confirmed that the character of Maya was inspired by a woman. A report in the Washington Post notes the unpopularity of Maya’s real-life counterpart in the agency and describes Maya as a combative person quite a bit like the character played by Chastain. Jessica is one of Maya’s colleagues, and probably the only one you could plausibly describe as her friend. It might qualify as a spoiler to mention that in a dramatic scene about halfway through the movie, Jessica is killed by a suicide bombing at Camp Chapman in Khost, Afghanistan. After she’s killed, a news report provides voiceover to the scene, mentioning that among the CIA employees killed in the attack was a mother of three. 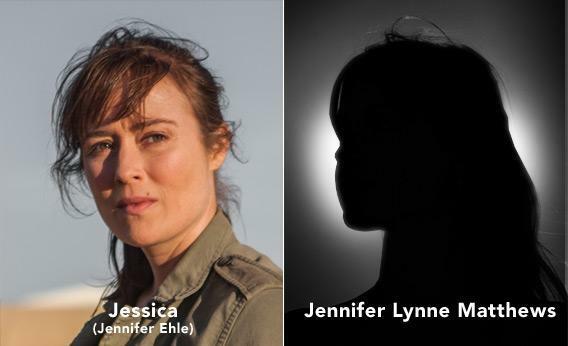 The implication seems to be that Jessica is that mother, whose real name was Jennifer Lynne Matthews. Described as “one of the CIA’s top experts on al-Qaeda,” the Agency made her name public in 2010, when it honored the 12 agents killed in the Camp Chapman attack. (Photos credited to Matthews’ family have since been used in articles, but Slate could not be sure by press time whether any were publicly available.) According to news reports, the suicide bomber was a trusted source who turned out to be a double agent working for al-Qaeda. This matches what we see in the movie—although, according to those reports, he was let into the base without a search because of that trust, while in Zero Dark Thirty, “Jessica” instructs guards not to search him so as not to scare him off. It is possible Boal and Bigelow added that wrinkle in order to make the scene even more dramatic than it actually was. Stills from Zero Dark Thirty by Jonathan Olley / ©2012 Columbia Pictures Industries, Inc. All rights reserved. Silhouette of a man by iStockphoto. 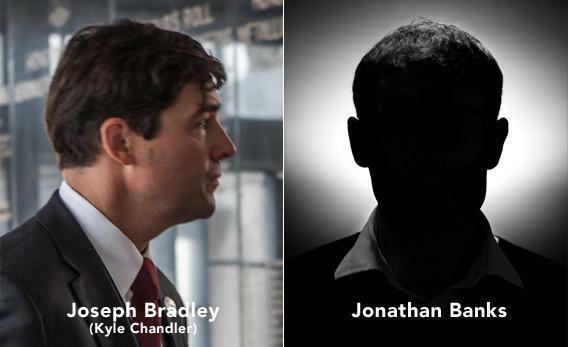 Kyle Chandler’s Joseph Bradley, who oversees Maya’s investigative work in Islamabad, is closely modeled on a man named Jonathan Banks, who was the CIA station chief in Pakistan. In 2010 he was named in a lawsuit brought by a Pakistani journalist whose relatives were killed by U.S. drone strikes. The lawsuit blew his cover, leading to protests in Islamabad. The CIA ended up pulling him from the country. (This turn of events is depicted in Zero Dark Thirty.) Though his actual identity is now known, he seems to have kept a relatively low profile since leaving Pakistan; we were unable to find a publicly available photograph of him. Stills from Zero Dark Thirty by Jonathan Olley / ©2012 Columbia Pictures Industries, Inc. All rights reserved. 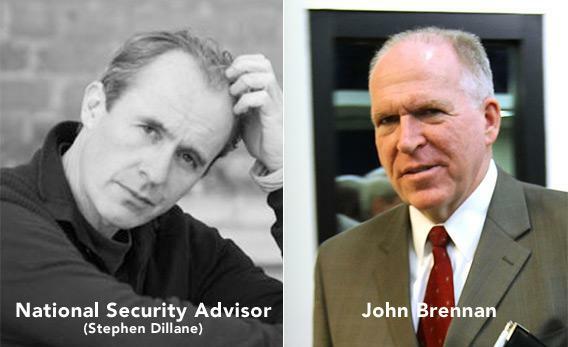 Actor Stephen Dillane by The heated topic of the ethics of torture has spilled over into the upcoming confirmation hearings for current White House anti-terrorism chief John Brennan, who has been nominated by President Obama to be the next CIA director. A controversial pick, Brennan has been criticized for defending some “enhanced interrogation” tactics under the Bush administration, including some tactics that appear in the film. ABC News’ Z. Bryon Wolf suspects that Brennan is the inspiration for the unnamed “National Security Advisor” (Stephen Dillane) who explains to a CIA agent the President’s hesitancy to act on “partial intelligence.” While Brennan has expressed disapproval of the Bush techniques, here’s what he told CBS in a 2007 interview: “There has been a lot of information that has come out from these interrogation procedures that the agency has in fact used against the real hard-core terrorists,” he said. “It has saved lives.” Bill Harlow, a fellow CIA member, denies that Brennan had anything to do with the techniques used during 2002-2003. Washingtonian magazine has suggested that Tom Donilon may also have partly inspired this character. Stills from Zero Dark Thirty by Jonathan Olley / ©2012 Columbia Pictures Industries, Inc. All rights reserved. U.S. Defense Secretary Leon Panetta by Alex Wong/Getty Images. One of the more obvious correlations between character and real-life inspiration is the key suspect in Maya’s hunt, Bin Laden’s courier, Abu Ahmed al-Kuwaiti. Just as in the film, “Kuwaiti drove a white S.U.V. whose spare-tire cover was emblazoned with an image of a white rhino” and was eventually tracked down to the compound where Bin Laden was hiding. Several possible inspirations have been suggested for the al-Qaida captive who is waterboarded in the movie’s opening scenes. Slate’s Emily Bazelon noted that he might most closely resemble Hassan Ghul, who told interrogators valuable information about Kuwaiti, and may have been subjected to some rough treatment—though the C.I.A. says he was not waterboarded. In his opposition to the film’s torture scenes, Senator John McCain reportedly linked Ammar to Khalid Sheikh Mohammed, noting that the “enhanced interrogation techniques” did “not provide [them] with key leads on bin Laden’s courier, “Abu Ahmed.” (In the film, Ammar eventually does provide them with that information.) However, whether it was misreported, or whether McCain misinterpreted the movie, this is a strange suggestion: There’s nothing in the movie to link Ammar with Mohammed, and in fact Mohammed is discussed as a separate character (referred to as “KSM”) in the movie. Meanwhile, Toby Young at The Telegraph states that Ammar is a composite of three Al Qaeda suspects, though how he arrived at this conclusion is unclear. Black Hawk Down author Mark Bowden also calls him a composite, and links him with a source named Mohammed al-Qhatani. Stills from Zero Dark Thirty by Jonathan Olley / ©2012 Columbia Pictures Industries, Inc. All rights reserved. Petty Officer 1st Class Nicolas D. Checque, 28, of Monroeville, Pa./ Family photo via Navy. Credited in the movie by its formal abbreviation, the compound raid crew of DEVGRU (a shortening of the long-winded United States Naval Special Warfare Development Group) is represented by several actors including Chris Pratt (who plays “Justin”) and Joel Edgerton (who plays a squadron team leader named “Patrick”). 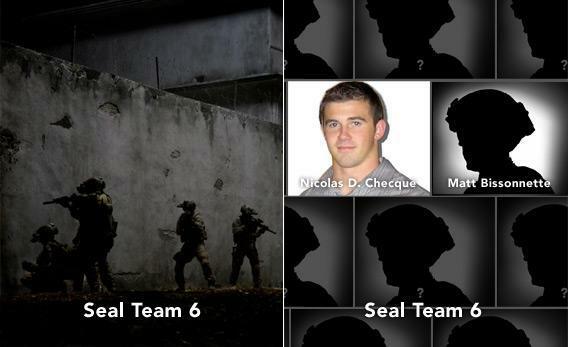 With the exception of Bissonnette and Nicholas Cheque, who was killed in December 2012 during a rescue mission in Afghanistan, the squad’s members remain anonymous. Update, Jan. 16: While Cheque was named as a member of Seal Team 6, the government has never confirmed whether he was involved in the Bin Laden raid. That CIA Counterterrorism chief we see practicing a Muslim prayer in his office—The Wolf, as he is named in the movie—is likely based on a man known by his cover name “Roger.” Roger, as described in a Washington Post profile, is a “collection of contradictions”—among them his conversion to Islam despite overseeing the death of Islamist militants. (His marriage to a Muslim woman was the catalyst for this conversion.) Unloved by most of his colleagues, some deem Roger responsible for the December 2009 Khost incident depicted in the film, which left seven CIA employees dead at the hands of an improperly vetted suicide bomber. Jennifer Matthews, who was one of the employees killed, was his protégé, and an unnamed source has cited Roger’s hiring of her as an example of the problems with the functioning of the counterterrorism system. Stills from Zero Dark Thirty by Jonathan Olley / ©2012 Columbia Pictures Industries, Inc. All rights reserved. Silhouette of a dog by iStockphoto. Not all of the heroes that night were human. Cairo, a Belgian Malinois, was with the SEALS during the compound raid, clad in special dog armor that can “withstand clouds of hot shrapnel,” and ready to sniff around for explosives or a secret hiding place for Bin Laden. 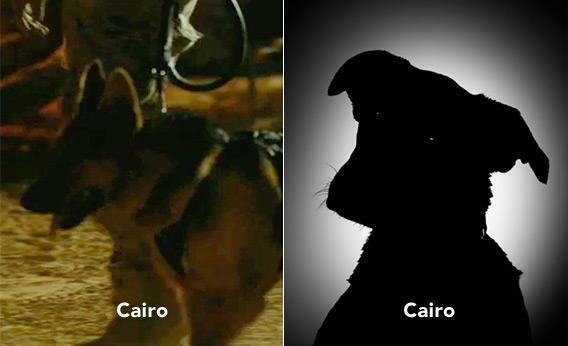 For his bravery, Cairo earned a meeting with the President himself (described at length in the New Yorker) and was named Time’s Animal of the Year in 2011.